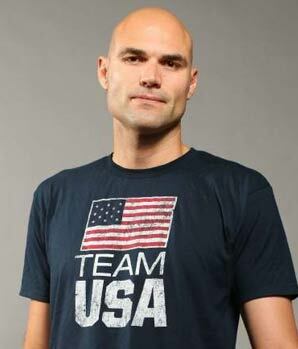 Phil Dalhausser is an iconic American beach volleyball star who brought home the Gold Medal at the 2008 Olympic Games in Beijing, China. At a towering 6’9”, Phil rules the net with his uncanny blocking abilities and punishing spike. He currently plays professionally on the FIVB International World Tour and the AVP Tour. Now recognized as one of the greatest American beach volleyball players in the game, Phil didn’t start playing volleyball until his senior year of high school. It wasn’t until college at the University of Central Florida that he really began focusing on the game and a professional career in the sport. Phil officially joined the AVP Tour in 2005 and led all players in number of blocks and was 6th overall in kill percentage that season. In 2006, he teamed up with Todd Rogers and the following year the duo won the FIVB Beach World Volleyball Championships in Switzerland, becoming the first American beach volleyball team ever to win the event. To date, Phil has won a whopping 31 career events on the FIVB circuit. He is the only men’s player on the FIVB World Tour with at least 1 FIVB title victory in each of the last 10 years. Phil is currently partnered with 2014 AVP Tour Best Defender Nick Lucena. Both Phil and Nick grew up in Florida and played as partners in a number of events at the beginning of their professional careers. Since their joyous reunion in July of 2015, Phil and Nick have have appeared in 7 of the last 8 FIVB World Tour Gold Medal matches, topping the podium in 3 events. They also took home international Gold Medal victories at the FIVB Xiamen Open and Puerto Vallarta Open last fall in addition to a victory at the AVP Manhattan Beach Open. Phil lives in Ventura, California with his wife. When he isn’t on the beach or in the gym training, he enjoys playing tennis, fantasy sports and Xbox. His current sponsors include Red Bull, Oakley, and RapidForce. Contact PMG Sports today if you are interested in partnering with Phil for the 2016 Olympic year and beyond!